Taste high velocity jet flight with the high thrust of this ducted fan model in its unique color scheme! Use your own transmitter with the PIP set! Famous for its dog-fighting prowess, the F-16 is one of the most recognized jet fighters in the world. As with most military fighters, this F-16 was evaluated at the Edwards Test Center and is recognized by its unique red and white color scheme.  The Kyosho version features a high-performance brushless motor that powers the newly developed ducted fan unit with an outer diameter of 55mm. The exquisite bell mouth shape with fan and stator design generates incredible thrust and features a unique air intake design that is the product of years of accumulated ducted fan and jet plane design know-how. Thrust remains constant and stable through the lightweight styrene fuselage and main wing, which is designed without control surfaces. The almost fully assembled fuselage is complete with coloring and shares the true form and movement of the F-16. Includes two elevon servos, 25A amp and ducted fan unit so only a short time is needed for completion. The PIP (Plug in Play) package also lets you use your own R/C system. Imagine the excitement of controlling your own jet fighter!